Insert Portuguese language characters and symbols into WordPad and Notepad text. 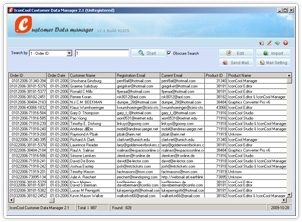 you can use it to manage your ever-increasing customer data easily. This application can make one-time importing customer data into database from ShareIt, RegSoft, PayPal, RegNow, Iportis, Fastspring, BMTmicro, Nstar Solutions in current market.